Food Escapade at Krazy Garlik | Vanity and Everything in Between. If you can't tell by now, Lawrence and I just love to eat out. We really love to eat. Eating at Krazy Garlik was something something random. We were to early for our movie so we thought of having early dinner. What was supposed to be the usual dine-in at Italianni's turned out to be Krazy Garlik (it was nearer to Greenbelt 1). 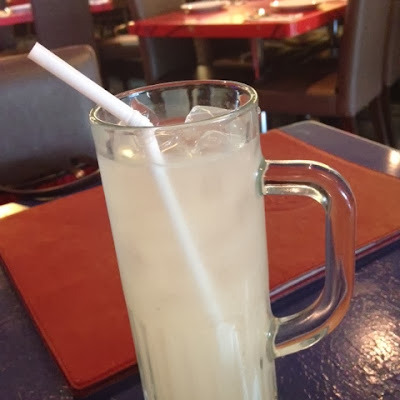 Click read more to see what we ordered! We had a hard time ordering because we wanted to try a lot! But for starters, we decided to get the Candied Walnut Shrimp (or something like that) because I thought it comes close to my favorite Walnut Shrimp that I always order when I'm at a Chinese Restaurant in the states. So, did it taste like the one I had in mind? Not at all. Far from it. 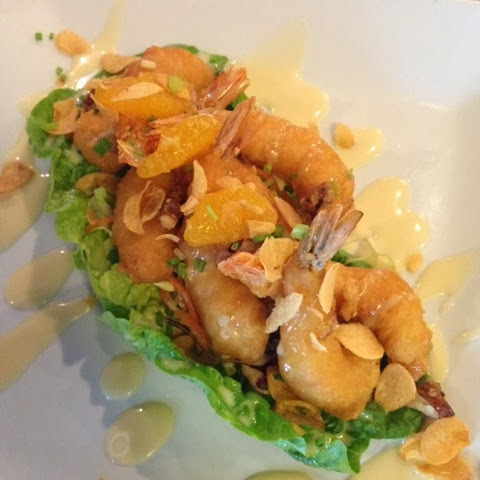 The shrimp is somewhat like a shrimp tempura with, well, walnuts. It was good but as I've said, it's far from what I expected it to taste like. I love Vongole. It's actually my no brainer order the moment I see it on the menu. The taste is okay but they overdone it with garlic (duh). I still enjoyed it nonetheless. Also, the portion wasn't disappointing. 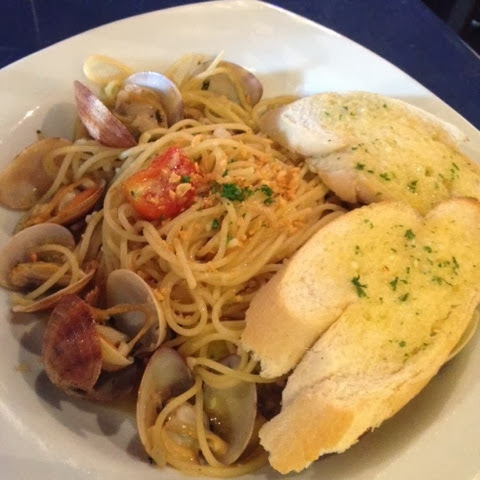 If you have a small appetite, you could actually share this meal. We ordered this because Lawrence wanted rice.. or maybe I did? We enjoyed this order as well. It's not over the top. Just right. Nothing special though. 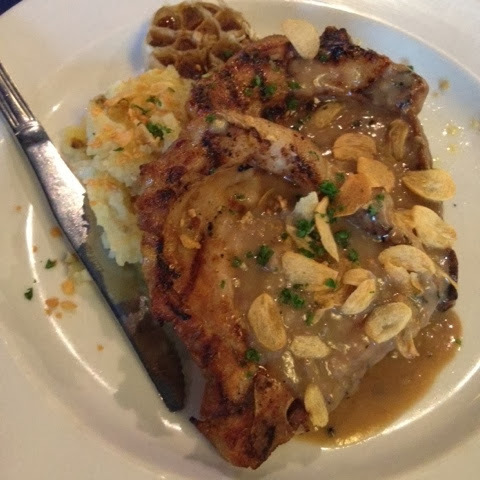 To sum it all up, Krazy Garlik is your go-tp restaurant if you love garlic. Heck, the name is such a give away. I like garlic but I think there was too much garlic on the food that we ordered except for the appetizer. Too much garlic that I could still smell my breath with a garlic scent until we got home from the movie. Apart from the garlic, there's nothing special about this restaurant (IMHO). I don't see myself going going to this restaurant frequently. But it's definitely worth a try. Also, if you have a Bistro Card, you are entitled to a 20% discount. Not bad! 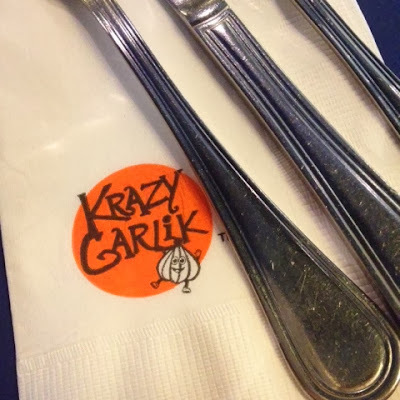 Krazy Garlik is located on the 2F of Greenbelt 5 (besides CPK).